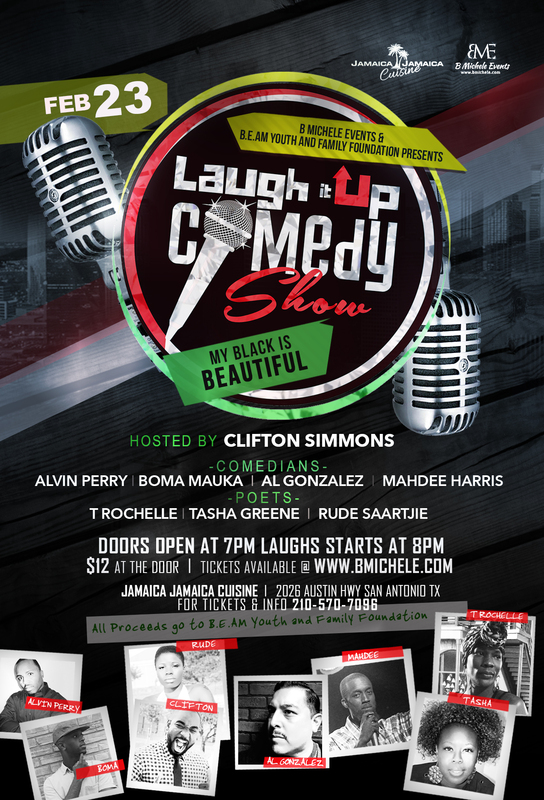 Join us Thursday Feb 23rd for a night of laughs and soul touching Poetry at Jamaica Jamaica Cusine. This awesomne event is a fundraiser to help launch The B.E.A.M Youth and Family Foundation, which will be geared towrad helping youth and families in low income areas with school supplies, clothes and other basic needs. Come have a good time and support the community at the same time.